Skin laxity is a common problem as you age, occurring on both the face and the body. Even with good skin care practices, loose skin and wrinkling occur on most men and women. Loss of skin tone can be difficult to treat without surgery, but at STC Plastic Surgery, we offer RF skin tightening in the Inland Empire: a non-surgical method correcting skin laxity. This treatment helps our patients to delay or avoid more invasive procedures. What Can RF Skin Tightening Do for Me? Challenging, age-related skin imperfections include wrinkles, fine lines, uneven skin tone, and skin laxity, but these can be significantly improved with Alma Accent, a radiofrequency device designed to create aesthetic skin tightening. We use this device to help restore a more youthful skin appearance. It can be applied to multiple areas of the face and body and can be combined with other treatments, surgical and non-surgical, as needed. With a series of four to five sessions, our team at STC Plastic Surgery effectively minimizes any apparent skin laxity while also helping to bolster the skin against future loss of tone and texture. Downtime is minimal, and the results created using the Alma Accent device can be transformative. This device is a staff, doctor, and patient favorite here. How Does Radiofrequency Tighten the Skin? 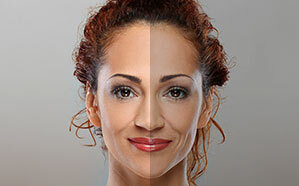 Radiofrequency (RF) treatments are a safe and effective option for creating improved skin tone. RF devices have been used around the world in aesthetic medicine since 2001. Dr. Machida has extensive training using the devices we have selected for our practice. Radiofrequency is a type of energy found on the electromagnetic spectrum. It is in the same category as radio waves, Wi-Fi signals, and microwaves. RF treatments work by heating the skin and underlying tissues. This stimulates collagen and elastin production, jumpstarting a natural reaction within the body. The radiofrequency energy also induces remodeling of the skin and tissues and boosts cellular turnover. Using RF for skin tightening offers many benefits over laser treatments. Since radiofrequency operates on a lower frequency of the electromagnetic spectrum than a laser, it can be safely used deeper within the skin. Lasers work on the skin’s surface, but RF treatments can rebuild the skin and muscle structure, lifting tissues and tightening from deep within, non-invasively. It is also safer for darker skin types than some laser treatments. We offer RF skin tightening solely for the benefits our patients see in the appearance of their skin, but this treatment can and does offer more. For those patients looking to tighten and slim the waistline, RF can help. Our fat reduction package combines SculpSure® and RF skin tightening to provide noticeable and long-lasting fat reduction. Diet and exercise are a great way to lose weight. The challenge can be to trim stubborn body fat that won’t go away in specific areas of the body. A combination of SculpSure® fat reduction plus RF skin tightening treatments can trim stubborn body fat and effectively tighten skin without the inconvenience and risks of liposuction. As a great non-surgical alternative to abdominal liposuction and tummy tuck, STC Plastic Surgery performs the Fat Reduction Package with a complete treatment of two sessions of SculpSure® with four sessions of RF skin tightening. Liposuction removes fat from the body using suction power. A cannula, or thin tube, is inserted through small incisions to deplete fat. This doesn’t always provide the results that patients imagine. One of the biggest post-liposuction body complaints is loose skin. Removing fat does not tighten skin, and patients with loose tissue are not good candidates for liposuction alone. By combining SculpSure® with RF skin tightening, we can remove fat and tighten skin at once. This improves results and increases post-procedure satisfaction. Since both treatments used in our fat reduction package are non-surgical and minimally invasive, patients also experience reduced downtime when compared with surgical procedures. Liposuction can require up to six weeks of recovery. With SculpSure® + RF tightening, you’ll be back to daily life the next day. 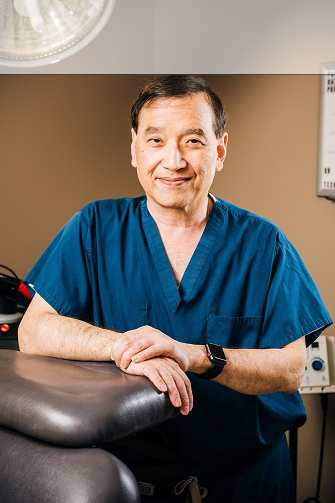 Dr. Machida created a blog about his fat reduction package that offers additional information about this procedure. Tighter skin without surgery? Sign me up! Give our Inland Empire, CA office a call at 800-303-9541 and tighten up your skin today.